Here it is! The timetable you’ve been waiting for that lists our teach-outs and activities during the proposed 14 days of strike action to defend our pensions. 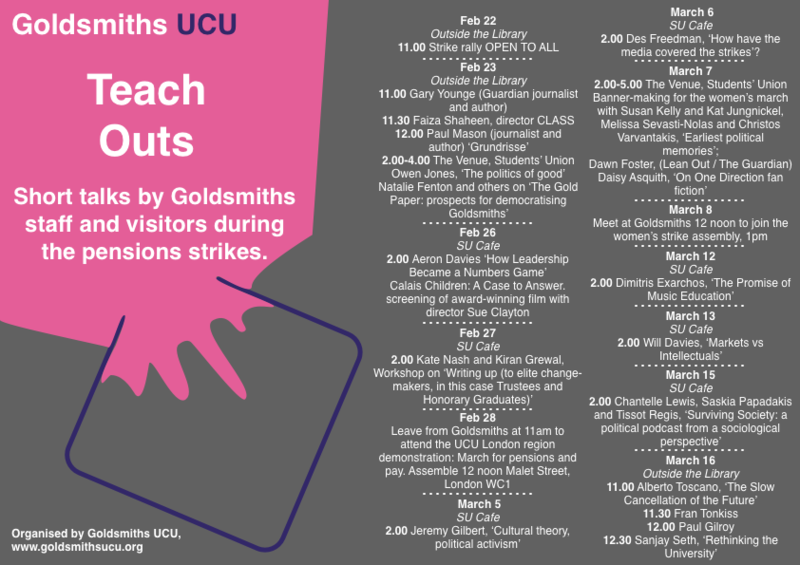 The timetable is HERE and includes appearances from Gary Younge, Paul Gilroy, Dawn Foster, Faiza Shaheen, Paul Mason, Jeremy Gilbert and even some well-known faces from Goldsmiths. Events take place either outside the Library on Dixon Road or in the Students Union.